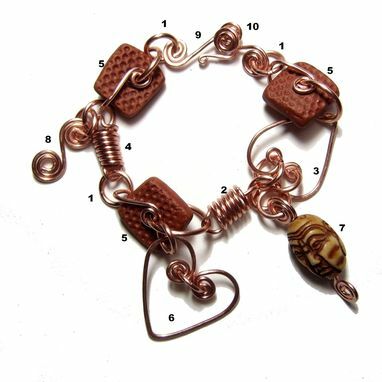 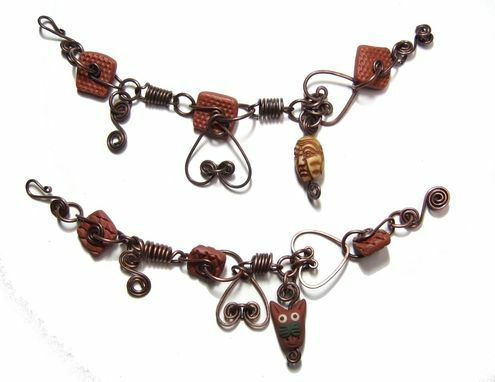 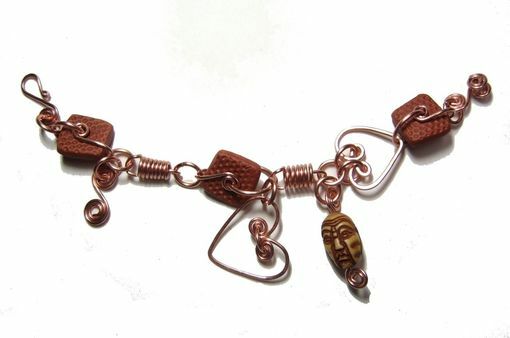 My Two Hearts Bracelet project utilizes handmade clay beads (made to order by me) and 14/16 gauge copper wire components. 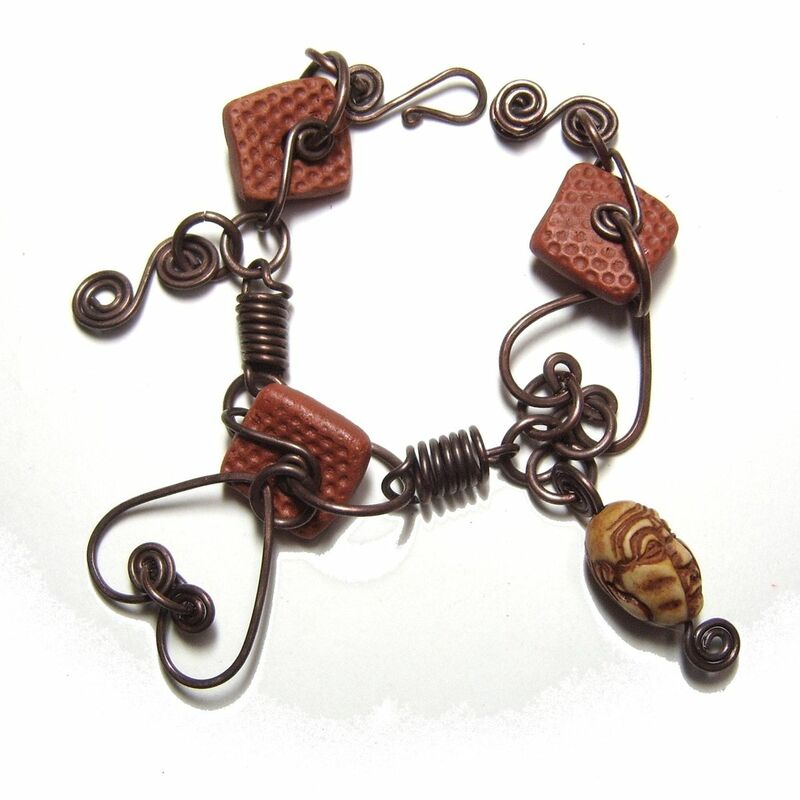 The hand made closure is quite different than most hand formed wire closures; being custom, I can also make bracelet components with any large holed bead (such as beach glass discs) instead of my clay beads. 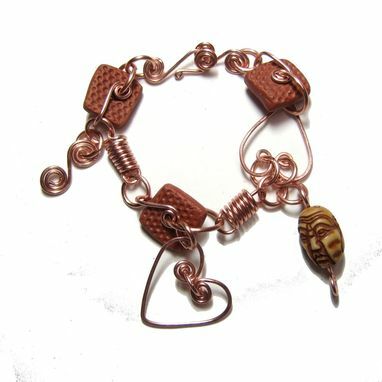 Note: This is the item you will receive as shown in the pictures.